Jones is accusing Lance Thompson—a man who secured funding and acted as the production attorney for his 2014 revenge thriller Scorned—of falsely representing himself as a lawyer, and torpedoing Vamprechaun’s chances of ever merrily jigging its way to unlife. The troubles apparently started during a car trip the two men took together, in which Jones explained the film’s premise. 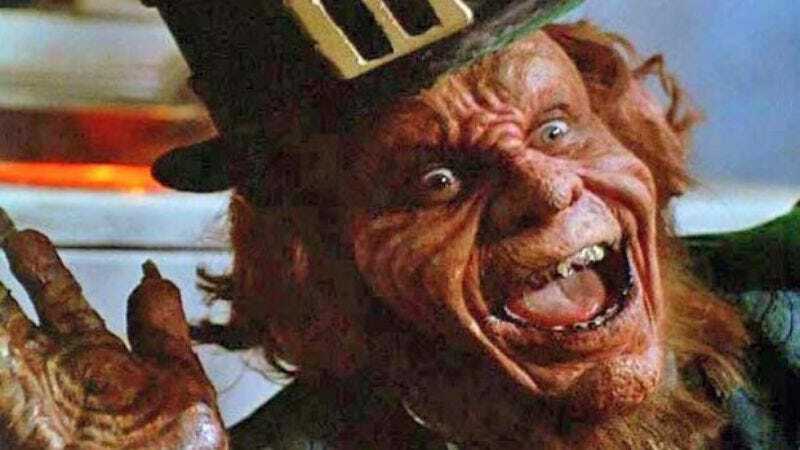 (Or, in the words of the legal complaint: “Jones simply explained that the idea involved a leprechaun who is bitten by a vampire and becomes one himself.”) Apparently overwhelmed by the sure-fire nature of the mythological mash-up, Thompson quickly worked to glom his way onto the movie. He claimed to be the film’s production attorney—despite never being given the job, and not having a license to practice law in California—and assured potential investors that there’d be no copyright issues with the Leprechaun films, which Jones doesn’t own the rights to. He even went so far as to claim that he’d “co-invented” the movie’s premise during that fateful car ride. That may or may not have been the last straw; in any case, Jones is seeking $3 million in damages in the suit (which, coincidentally, would be enough to make the original Leprechaun three times over, although the vampires would presumably cost a little more).